The Pano Album is not your traditional wedding album. This album opens from bottom to top instead of from left to right and is an impressive 16×20 when opened. The Pano Album is seamless with no center line. This album is available exclusively in matte finish with board-style pages and also comes in a variety of leather styles and colors. 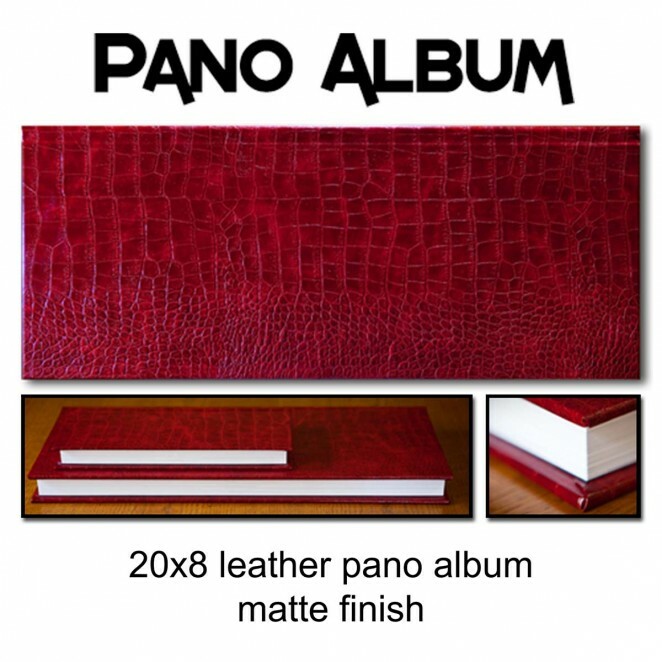 The Pano Album Package comes with two Pano Mini Albums. These albums are exactly like the larger Pano Album in every way except they are half the size.